From the Wanstead & Woodford Guardian. Reproduced with permission. A team of green-fingered volunteers have rolled up their sleeves to help create a vibrant new community garden in Wanstead. Members of The Wanstead Society joined forces with staff and customers at the Cherry Tree Café, in Woodbine Place, to turn its untidy backyard into a luscious green oasis. The hardy gardeners worked for ten tiring hours, planting a wide range of flowers and shrubs at the site, which wil be opened for use by the entire community. The café is open to the public and run by a mixture of paid council staff, and volunteers – many of whom have learning difficulties – who gain valuable catering experience by helping to cook, and by serving customers. Work on the garden halted only briefly for lunch, when the hungry workers got the chance to tuck into a tasty meal prepared and cooked by café staff. Volunteer, Katriye Ibrahim, of The Wanstead Society, said she was delighted to have made a contribution to the garden. 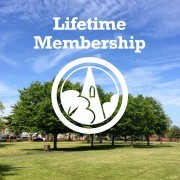 She said "It was really fun helping out, and we are all so pleased with the way the garden looks. "We were grateful to get a delicious lunch cooked for us because it was very hungry work. "The Wanstead Society wants to play an active role in making Wanstead greener, and this work was part of that. "We have planted some sweet chestnuts and elm trees in Christchurch Green recently and plan to plant another eight in the near future." The Cherry Tree Café is open to the public throughout the week serving hot and cold food. Report By Sam Adams, Wanstead & Woodford Guardian. Reproduced with permission. A GROUP of angry residents have accused a betting shop of ruining the look of Wanstead High Street by erecting a ‘garish’ illuminated sign without planning permission. Jennings Bet was told to remove the back-lit sign after members of the Wanstead Society complained that it broke conservation area rules, and had not received council consent. The firm applied for permission retrospectively but was turned down after the council upheld the complaints of residents. Andrew Wernick wrote to the council to complain on behalf of hundreds of Wanstead Society members. He welcomed the council’s decision to refuse planning permission but said he feared Jennings, which has six months to appeal against the ruling, will continue to display the sign anyway. It is not the first time the betting shop has courted controversy, with many residents opposing its opening in March – claiming that because the High Street already had two bookmakers and it did not need another. Colin Wilkinson, of Blake Hall Road, called for action to be taken to remove the sign. He said: “If they have broken the rules they should be made to take the sign down straight away, not be given time to appeal. Greg Knight, chairman of Jennings Bet, said: “This is an on going situation which is being dealt with. We had a successful day at the Wanstead Festival this year, signing up many new members. We think the fantastic weather played a part, as did our new-look stand. silly or serious, and tie it to the wish tree. It really engaged people and got them thinking about their local area. We had all sorts of creative responses: "a sparkly high street at Christmas", "tango on Christchurch Green", and more down to earth ones such as "better sports facilities" and "a haberdashers". And there was one wish that cropped up time and time again, which was "a farmers market". This is one wish that could easily come true! Worried residents claim council dithering is threatening to destroy the distinctive character of one of Redbridge’s grandest streets. Two years after the council proposed an ‘Article Four Direction’ on houses in Spratt Hall Road, Wanstead, which would give them more protection than those on any other street in Redbridge, it has still to be implemented. The direction would stop residents making alterations which undermine the street’s Victorian appearance, and leave householders having to apply for planning permission for even minor changes, such as replacing roof tiles and windows. Andrew Wernick, of the Wanstead Society, said the delay has already allowed some residents to make unsightly alterations to their houses. 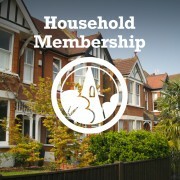 He added: "Spratt Hall Road is one of Wanstead’s most architecturally important streets and deserves extra protection. "It is part of a conservation area, but this doesn’t really give it much protection, as residents are still free to make smaller alterations such as paving over their front gardens and replacing slate roofs with concrete tiles, without needing planning permission. "These cnanges make a big difference to the look of the road, and that’s why I asked the council to give it extra protection two years ago, which they agreed to, but still haven’t put into force. "The character of this road, and of the area of the whole, will remain at risk until the council takes the action it said it would." These views were backed by Spratt Hall Road resident, David Whittingham, who slammed the council for taking so long to act. He said: "Most residents believe the road needs more protection than it does at the moment, and it’s about time the council put its money where its mouth is and addresses this." A council spokesman said: "While the potential for an Article Four Direction was flagged in the conservation area character appraisal for Wanstead Village in March 2006, this approach as part of the broader preservation and enhancement scheme was only formally agreed by cabinet in May 2008, ie it was not agreed to two years ago, merely proposed." WANSTEAD’S last remaining butcher has been recognised for his service to the community, nearly 40 years after he first entered the trade. Stephen Alsop joined AG Dennis, in the High Street, as an apprentice in 1967, and has owned the business for the past 20 years, during which time he has seen the area’s five other butcher shops close down through lack of trade. He said: "I am proud to have survived all this time, particularly when you think how many of the other butchers around here have disappeared. "We have remained open because we moved with the times and offer higher quality products which are hard to find in supermarkets. "It’s true that supermarkets have undercut a lot of local traders, and put many of us out of business, but it’s the sky-high rental rates in Wanstead High Street that are the biggest problem." Mr Alsop, who hopes to see his son, Stephen Jnr, take over the business when he retires, attributes much of his success to the shop’s former owner, Leonard Dennis, who trained him as a teenager. 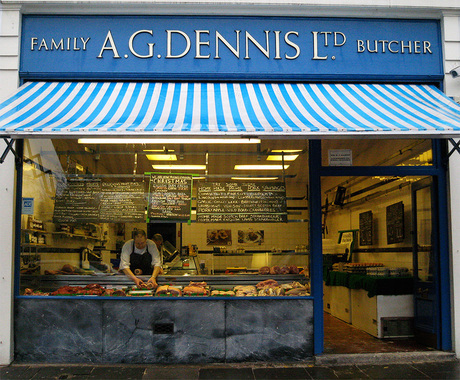 He said: "Mr Dennis was one of the last of the gentlemen butchers, and taught me to take pride in what I do, and to go that extra mile to give the customer what they want." WS vice-chairman, Jack Figg, who presented the award, praised Mr Alsop for his efforts, and called on the council to do more to support small businesses in Redbridge. He said: "Shops like AG Dennis are the life-blood of this community, and it is vital that everything possible is done to ensure they are able to continue to provide a unique and personal service for us all."